We have a compulsory rowing uniform that must be worn at each regatta and event when representing Takapuna Grammar School Rowing Club. 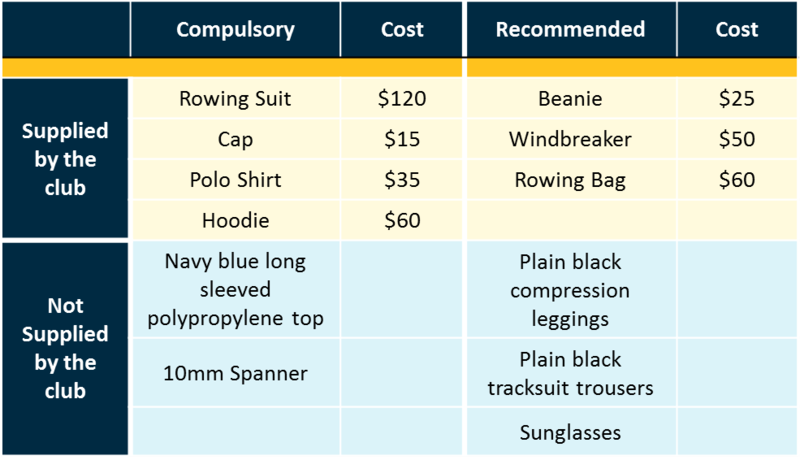 We have a compulsory rowing uniform which must be worn at each regatta or event when representing Takapuna Grammar School Rowing Club. This is a registered uniform and rowers are not permitted on the water without it, and it is recommended that uniform items are kept for regattas, with alternative items worn for training.